Nursing our little moon is probably the biggest challenge I have ever been faced with. I do it because I want Ally to receive the best. We've been breastfeeding for a little over 13 months now. Our breastfeeding journey began the minute I gave birth to her, right there in the delivery room. I wish I could say I remember all the sweet details of our love-at-first-latch, but until this day, the details of my delivery are foggy. I think my subconscious is blocking the memory of that day because child birth is one of the most excruciating experiences ever. I do remember them holding her against my breast, all pink and new and tiny, but I can't remember how she latched on. In the recovery room, I asked the midwife who assisted the Unang Yakap, and she assured me Ally did latch on. I also wish I could say she never had a drop of formula. But there was a medical complication that disrupted our plans to breastfeed exclusively. A few hours after her birth, the doctor told me she had jaundice. She had to undergo bili light treatment. Instead of being roomed in with me, it was the neonatal ICU for her. So I had to get out of bed hours after delivery, walk to the hallway, sit in a wheel chair (ouch! ), and go to the NICU (which was on a different floor). This happened countless of times in a day. 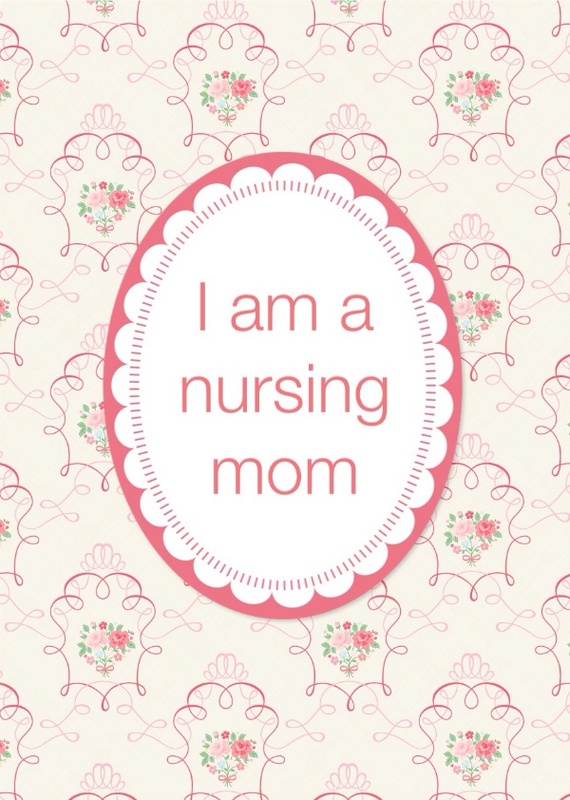 I would stay in the NICU nursing room for an hour or two, cuddling and feeding my sweet newborn. My ravenous nursling was so hungry that sometimes, on my way from the NICU back to my room, I would get summoned before I could even step into my room! There was very little rest for me. But I was very determined. Ally was sick, so all the more reason to breastfeed. Jaundice isn't a cause for alarm, a lot of babies are born yellow - including me! But after a day of treatment, the doctor was concerned that her bilirubin levels weren't returning to normal. It was very scary. She needed all the time she could get under the bili lights, so my short mommy visits were cut even shorter. The lights could cause dehydration, so unlike most newborns who need only a few sips of milk, Ally needed a lot of it, and fast. A new mom doesn't produce milk yet, only colostrum - a nutrient-packed, sticky substance - in very little amounts. Enough for a newborn, but not in Ally's case. Because of the risk of dehydration from the treatment, she needed to be supplemented with formula. I was heartbroken, but there was no choice. Ally stayed a few more days in the hospital after I was discharged. I'd like to think she was mixed-fed those first few days, because I was expressing milk and delivering it to the NICU. I forced my body to hurry up and produce milk with the help of the hospital's electric Medela pump. Do you know how hard it is for a new mom who just gave birth to produce a drop of milk? It's like trying to squeeze water from a rock! Milk doesn't usually come until a few days after you deliver. But Ally needed me, so I had to produce liquid gold. It was excruciating. I had to work hard. There was very little rest at home - I had to manually pump every few hours to establish my milk supply. I had to be diligent with that because breastfeeding works on a supply-and-demand basis. If your body thinks there is no demand (no suckling babe), it will not produce the supply. My milk could easily dry up without Ally directly suckling. Breast pumps are not as efficient as a real baby, so I had to work extra hard. I had to pump every few hours, round the clock. And everyday I would deliver my precious milk in milk bags. Very milk maid-ish, except that I was also the cow. I am not sure if the nurses actually give her my expressed milk. Would they take the time to thaw frozen or cold breastmilk, when there was a can of formula readily available? Just to be sure Ally was receiving my milk, I would breastfeed her directly every time I visited. I had to limit our time together though, so she could go back under her bili lights. This happened over several days. This was a very trying experience for me. I was feeling very depressed. I would cry on my way out of the NICU - I wanted my baby! I would cry when I got home - I wanted my husband! (He was in Seattle for work, he didn't have a choice.) It was the loneliest point of my life. If I ever had postpartum depression, that would have been it. I will never know. Thank God I pulled through. 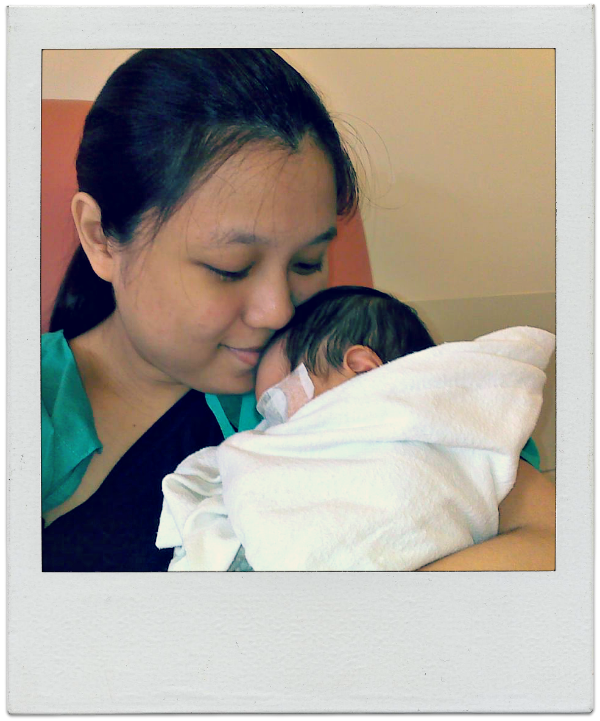 And thank God Ally was ok. She was discharged a few days later (after 7 days in the NICU), and we began our breastfeeding journey anew. 13 months later, we are still at it. As the saying goes, if there's a will, there's a way. So that's how our breastfeeding story began. Although we were off to a rocky start, things got better. There are many ups and downs, but there is nothing like the joy of being able to provide the best for your child. I will share with you more of our experience in future posts. I would love to hear about your experience! Please share in the comments below! what a sweet story. Ally is blessed to have such a mom. it encourages me to continue in my breastfeeding journey too. God bless!